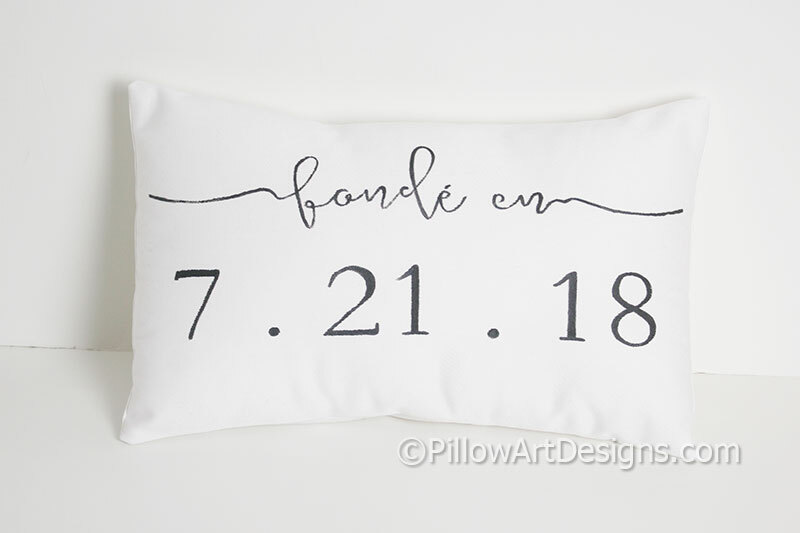 French language Fonde En date mini pillow, with date numbers below words painted in cursive script. Pillow measures 8 X 12 inches, comes stuffed with hi -loft polyester fiberfill, no insert required. Hand painted with non toxic fabric paint. To order, purchase this listing and remember to send me the date numbers you wish for the front of the pillow.